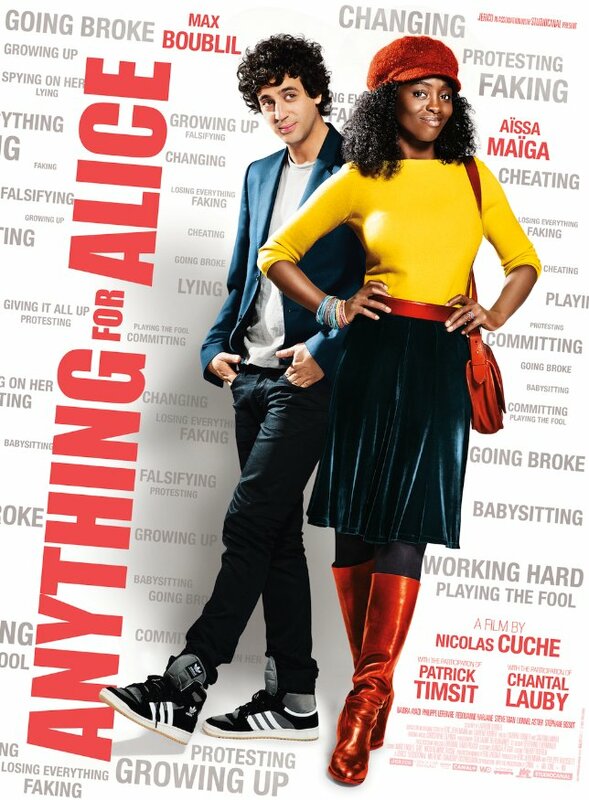 If you're looking for something different in rom-coms (and aren't we all, just about all the time), you could do a lot worse that the new one from Rialto Pictures (via the company's more mainstream division), ANYTHING FOR ALICE (Prêt à tout is its original title). Last year Rialto gave us another winning rom-com that offered something a bit different, The Stroller Strategy, and this new one proves a fine follow-up, as it details the budding romance between two college students, a dorky but charming young man and the politically exuberant, beautiful young woman for whom he falls. 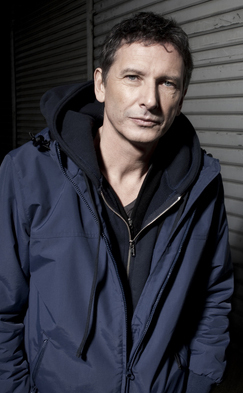 As directed by Nicolas Cuche (shown at right) and written by Laurent Turner (The Prey), the latter with some help from Sabrina Amara and Eric Jehelmann, Anything for Alice, like The Stroller Strategy before it, revolves around, among other things, the plight of a single mother, although in this case, our heroine becomes that mother before she meets the man who is so interested in her. What distinguishes this little rom-com, aside from its sprightly nature and good performances, is its interest in the workplace, class distinctions, and the uses of money. The film is particularly funny regarding knee-jerk values and their representation by us humans on the left and the right. The premise of the film (way over the top) works surprisingly well, too, so far as the fantasy rom-com formula is concerned: that a fellow suddenly come into a lot of money would purchase an entire factory so that his lady love, who works there, might continue to have a job. 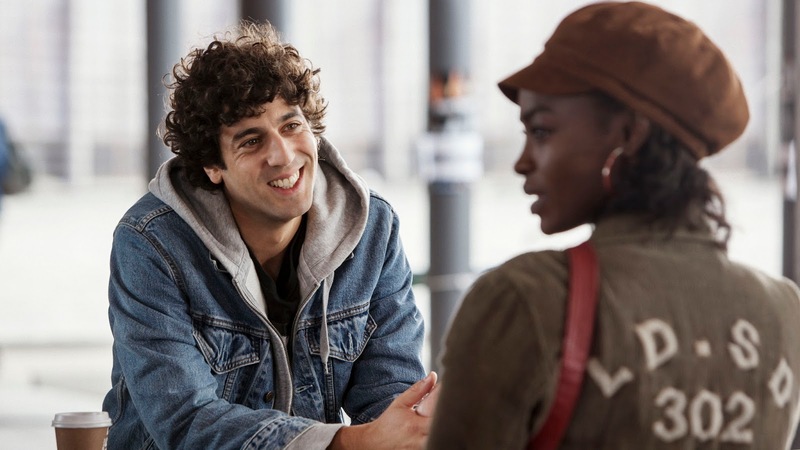 The would-be couple in question -- the titular Alice and the suddenly wealthy Max -- are played by Max Boublil (above, left) and Aïssa Maïga (above, right), both astute charmers who know their way around the rom-coms tropes. What this factory produces is a drink called Bang -- a kind of French version of our own Tang, a drink evidently much beloved by Charles De Gaulle. A lot of fun is had about this substance and its manufacture, and you do not have to be French to appreciate it. The movie is also full of surprising and very funny moments -- such as the destruction of a Rolex watch, together with the reason for doing this -- that keep the pace quickening and the laughs coming fast. Once our hero owns the factory, working conditions do indeed change, in ways both good and not so. 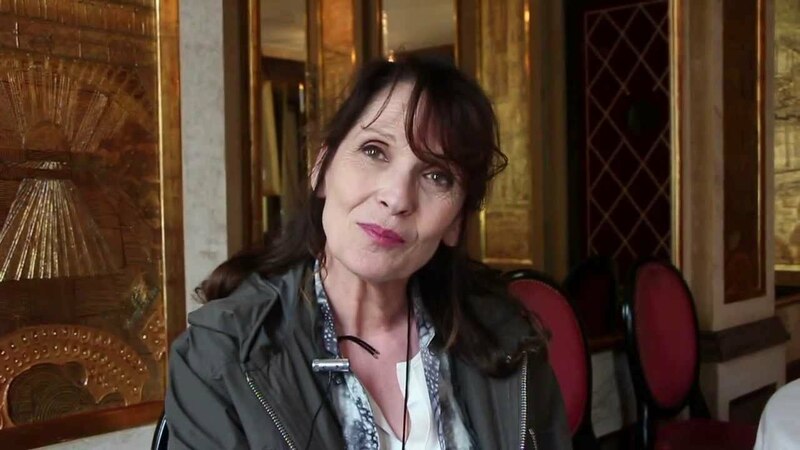 In the supporting cast are a number of fine thespians, but special note must be made of the actress who plays Max's mom, the delightful Chantal Lauby (shown two photos up). 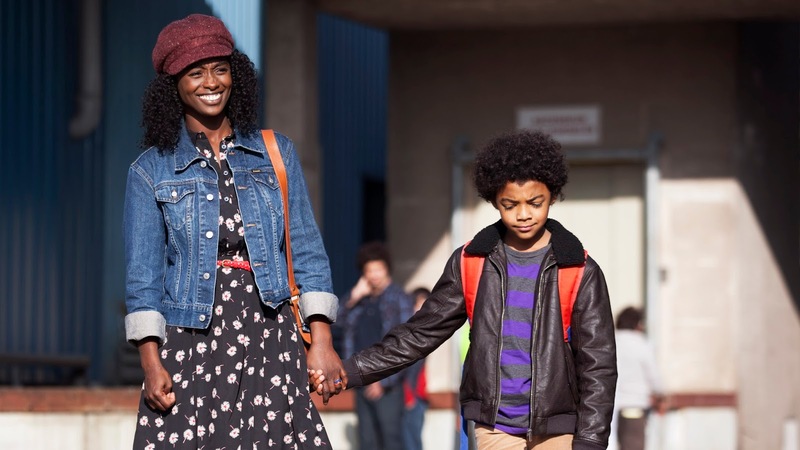 Also very good are Max's two best pals (played by Redouanne Harjane, above, left, and Steve Tran, above, right), and a young and promising newcomer, Idriss Roberson (at right, three photos above), who plays Alice's son, a boy with a bad case of ochlophobia. You can view Anything for Alice right now, in West Los Angeles at Laemmle's Royal. Elsewhere? I certainly hope so, though I find no other cities scheduled as yet. But maybe the movie will surface soon on DVD and/or digital streaming. If you're a fan of rom-coms-with-smarts, it's very much worth seeing.